There are beer fests and then there are beer festivals and my regular readers know that I attend quite a few beer festivals of various sizes and styles. Around the Los Angeles area we primarily see beer fests that concentrate on American craft beers with an emphasis on the burgeoning local craft beer scene; and why not, there are some amazing beers being brewed in Southern California lately. Back in July The Alpine Village in Torrance held their first ever Euro Bierfest 2014, featuring more than 50 beers from France, Belgium, Italy, Germany, Iceland, England, Czech Republic and Sweden. It was one of those events that any true craft beer lover should not miss; but we have a new [to Los Angeles] beer festival that will be held November 8 and 9 that looks to be a festival for the ages; The Festival 2014: Los Angeles Edition. 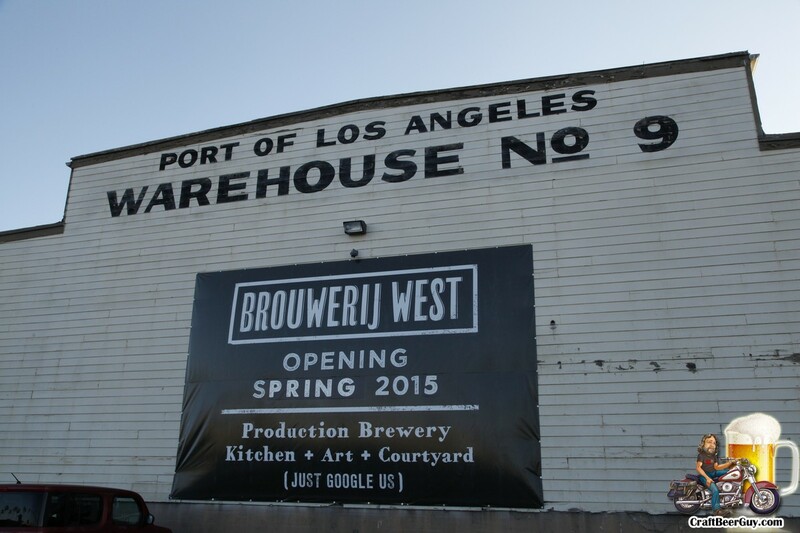 Presented by Shelton Brothers and Sharefest in collaboration with Brouwerij West at CRAFTED at the Port of Los Angeles in San Pedro, The Festival 2014 will be bringing you craft beer from all four corners of the globe with almost 100 breweries being represented. Not only are there more than 90 breweries in attendance, you will have the opportunity to meet more than 70 of the best beer, cider, and mead makers in the world! If you think this is an exaggeration, take a look at the breweries scheduled to attend. International breweries include 8 Wired (New Zealand), Amager Bryghus (Denmark), Au Baron (France), Baird (Japan), Be.Er Brewery (Belgium), Birra Toccalmatto (Italy), Blaugies (Belgium), Brasserie Dunham (Quebec, Canada), Brekeriet (Sweden), Brew By Numbers (England), Brewfist (Italy), Burning Sky (England), Nøgne Ø (Norway), Oersoep (Netherlands), Oliver’s Cider and Perry (United Kingdom), Partizan (England), Pays Flamand (France), Peckham’s Cider (New Zealand), Rappi Bier Factory (Switzerland), Ribela (Spain). Ritterguts (Germany), Rooie Dop (The Netherlands), Shiga Kogen (Japan) and many more.